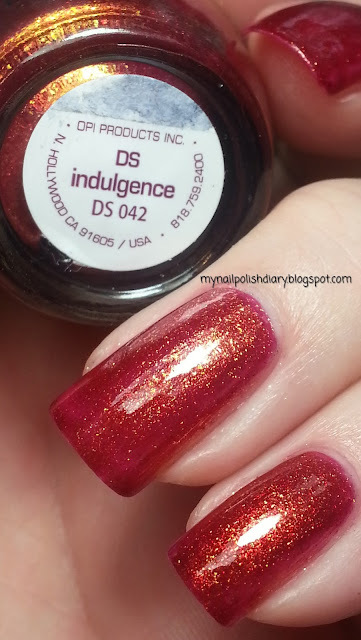 OPI DS Indulgence from the 2012 collection is a berry red with a strong gold shimmer. Stunningly gorgeous. This looks so beautiful in person. The pictures just can't do justice to this beauty. Proof positive why I buy the Designer Series the day they're released every year. 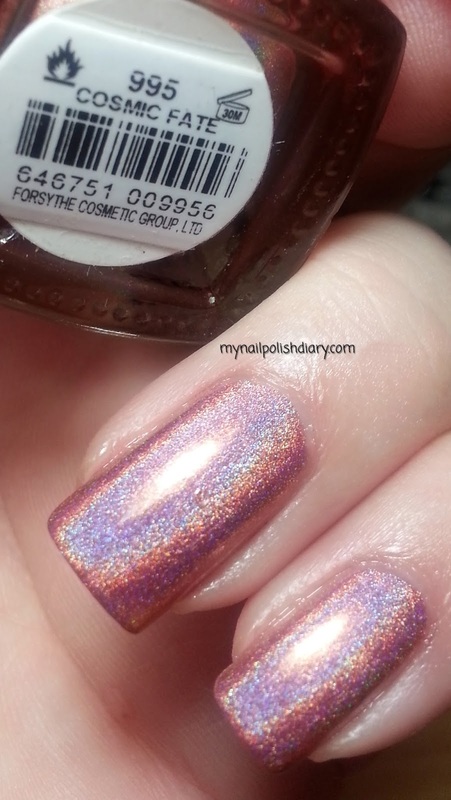 Color Club Cosmic Fate is from the Halo Hues 2013 Collection. 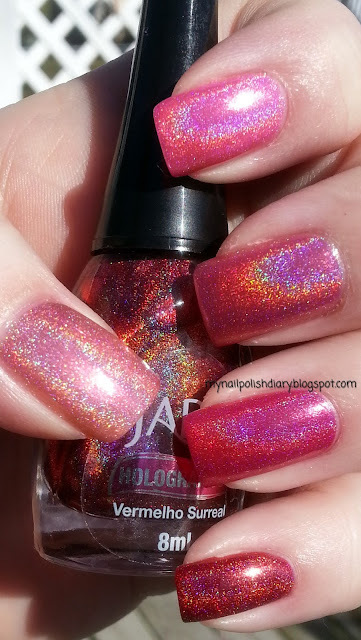 Holographic polish is one of my absolute favorite finishes to wear. It's so stunning and just amazing looking. You can't go wrong with it. This color is pretty unique. It's a bronzy-orangey-peachy shade. It's beautiful. The holo effect in this second set from Color Club is less linear in my opinion and a but scattered. I don't mind. 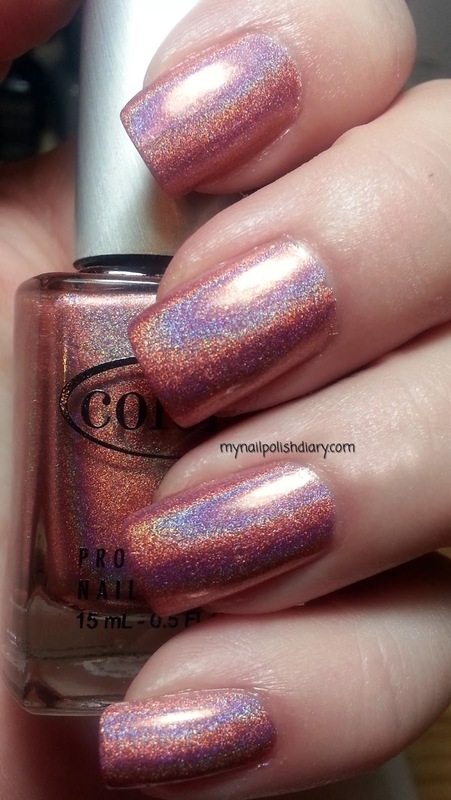 I love both styles of holo. I used Nfu Oh Aqua base though it's absolutely not needed. 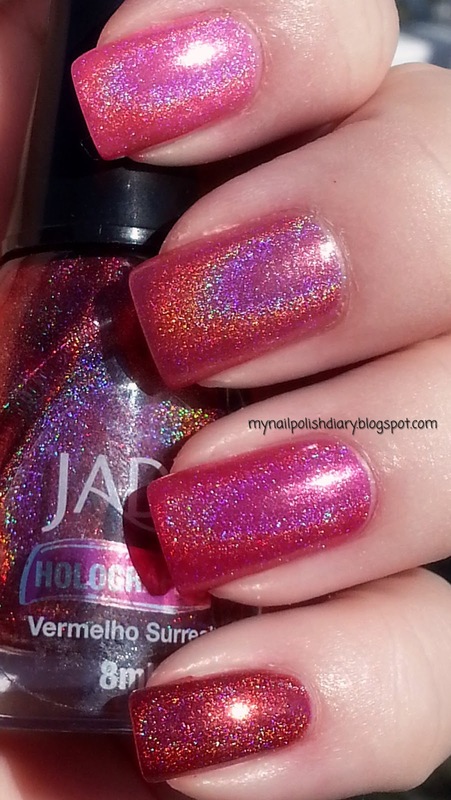 I just feel like I need something under a holo and I might as well use aqua base. I'm sure it would apply just fine on bare nails, but you're not gonna get me to ever apply polish without something under it. It's just something I feel strongly about. 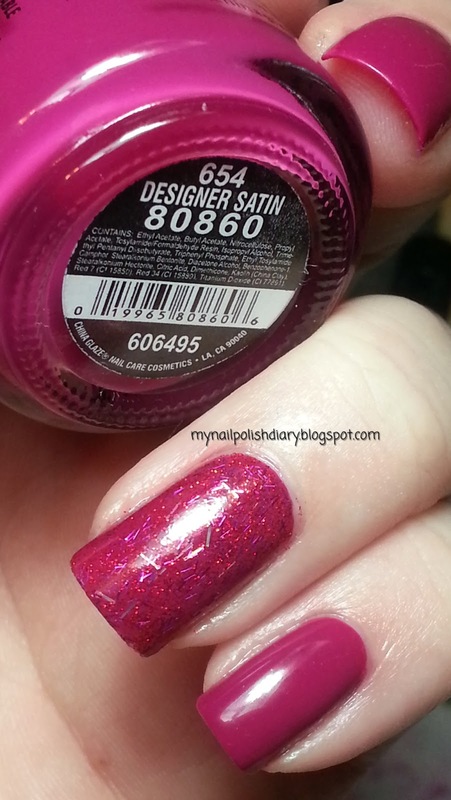 China Glaze Designer Satin is from the imMaterial Girl Collection released in 2008. It's typical of my berry colored polish that I adore, though it's more purple than pink. Still in the same family type though. And I do love it. I don't know what it is about this color type but I can't stop buying them :) As always, everything about this polish is perfect. Typical China Glaze. 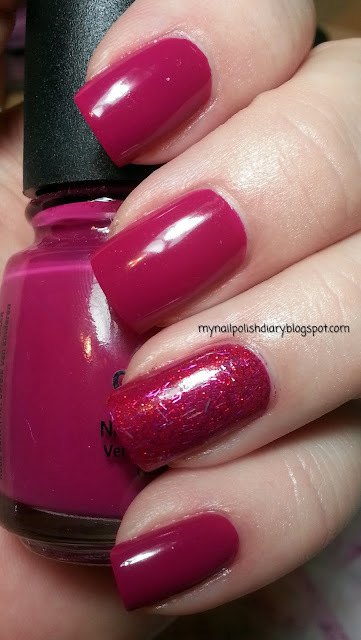 Zoya Kissy is from Zoya's Gems & Jewels 2011 Holiday Collection. It's a multi colored glitter with pink, purple, red and silver holographic with some bar and also round glitter in clear base. It goes amazingly well with Designer Satin. Love this combo! 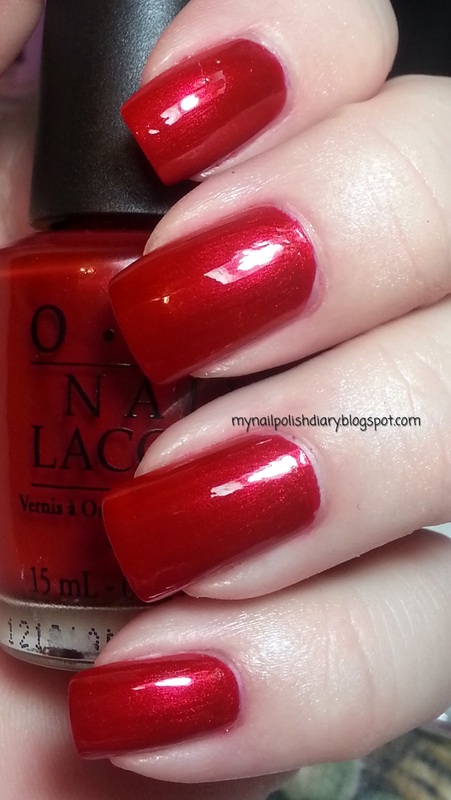 OPI Danke-Shiny Red is a cherry red with gold shimmer. 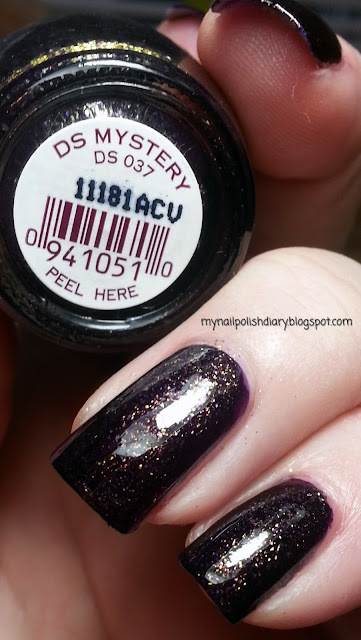 It's from the Germany Collection released in the fall 2012 collecton. 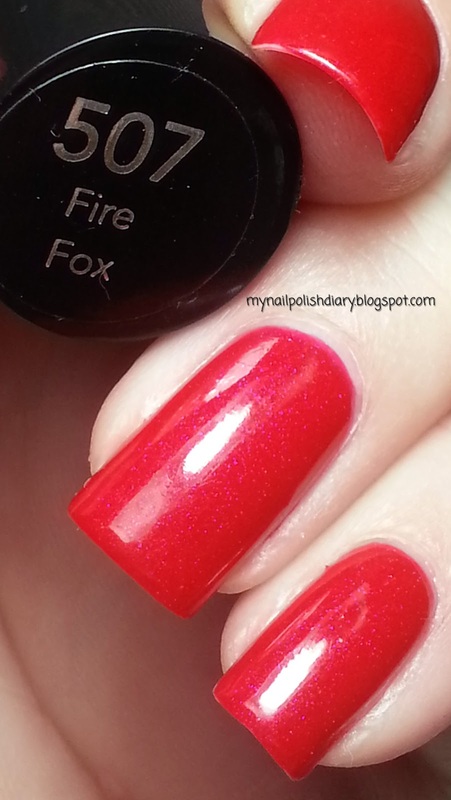 It is the perfect polish. 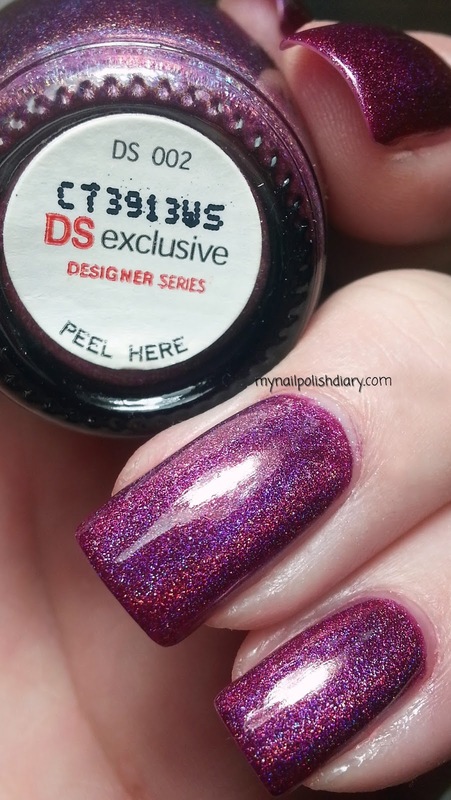 It's gorgeous shimmer is TDF. The application was flawless and it wears forever. I love this polish so much. OPI is my favorite brand and they nearly always amaze me with their formula and colors. This collection has some stunners. Tomorrow is Valentine's Day! Looking forward to date night with DH! 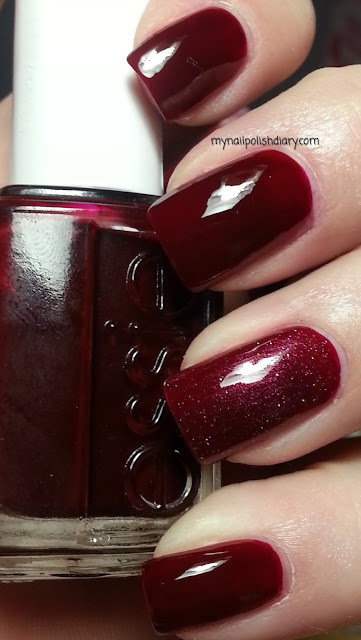 Essie Bordeaux is a deep red jelly. It's from their core collection. I went looking for something else from Essie and ended up bringing this home as a substitute/dupe instead. It's a really pretty color. In the past I've had problems keeping Essie polish on for more than a day due to almost immediate chipping. 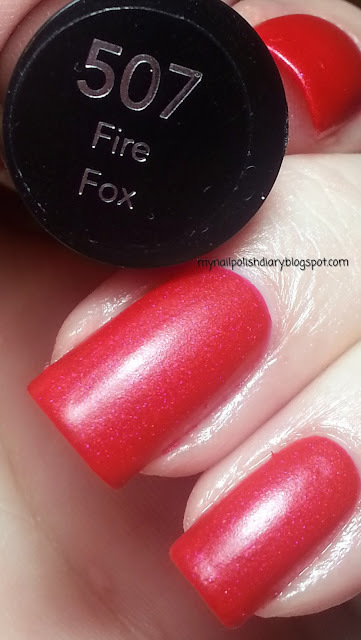 Since I changed my base coat, I decided to do a test run and see if it may have made a difference. It did indeed! These pictures are after 8 days!! All I had was tip wear and it was minor and certainly to be expected after 8 days. I might actually add some more Essie to my collection now that it seems to last longer for me. Yay! I added China Glaze Crystal Ball for the accent nail. Obviously I didn't have a problem with it lasting either. The base color matched really well to Bordeaux and the holographic particles added just the right amount of spice. 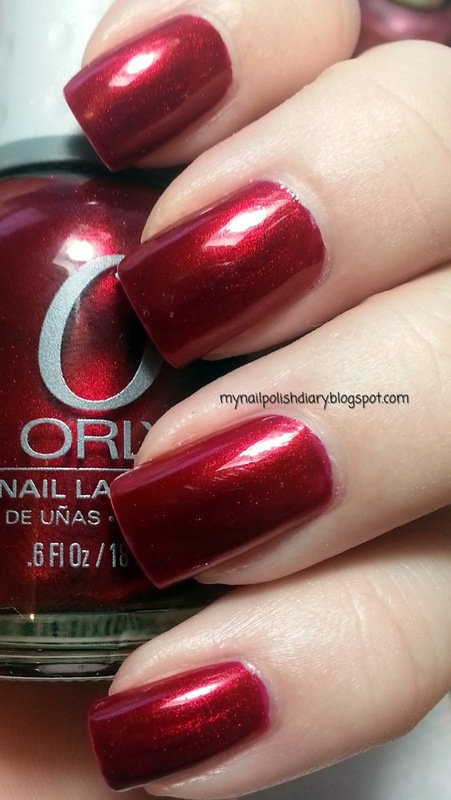 Love this polish. 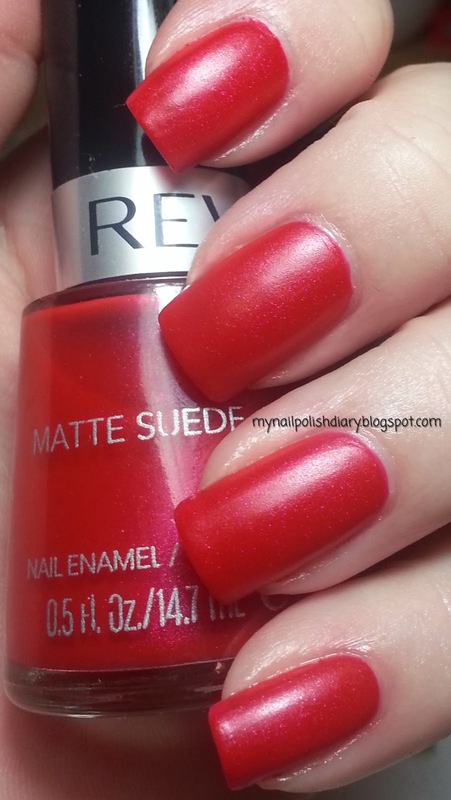 From the holiday 2010 Burlesque Collection. Love this collection. 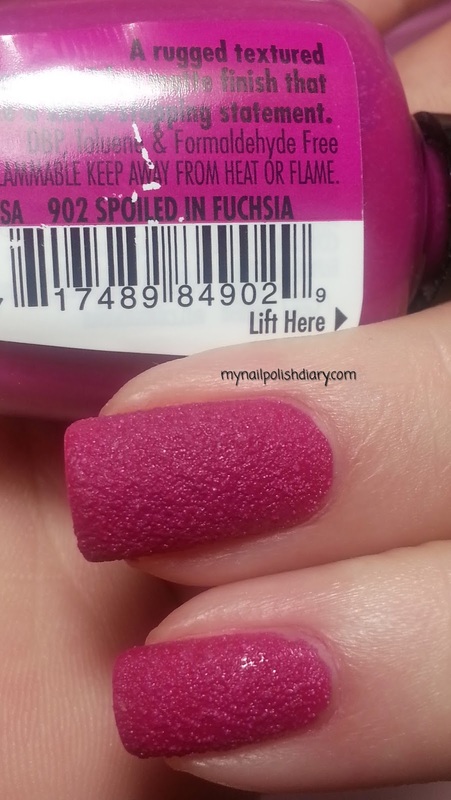 Not a bad one in the entire 12 polishes. 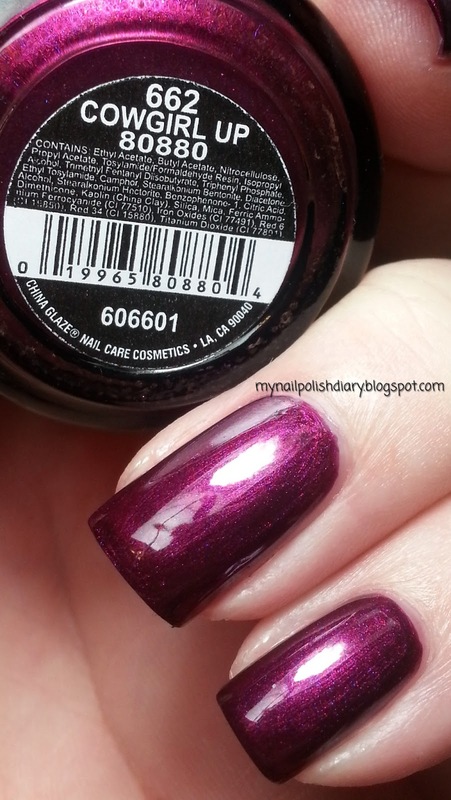 OPI The Show Must Go On is a glass fleck like metallic duochrome. I wasn't able to capture the duochrome. It's very evident in real life. It flashes gold. As with this entire collection, everything about it is perfect. I wear this one a lot. It's gorgeous.